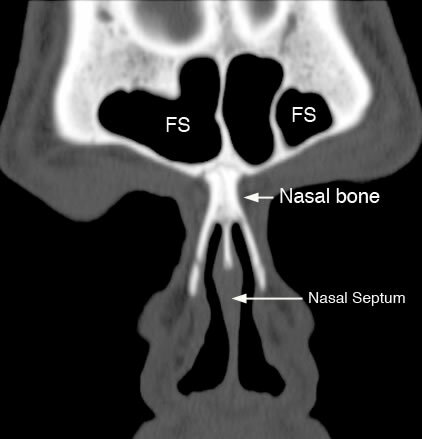 The frontal sinuses can have variable drainage depending on the anatomy of the frontal sinus drainage pathway (FSDP). 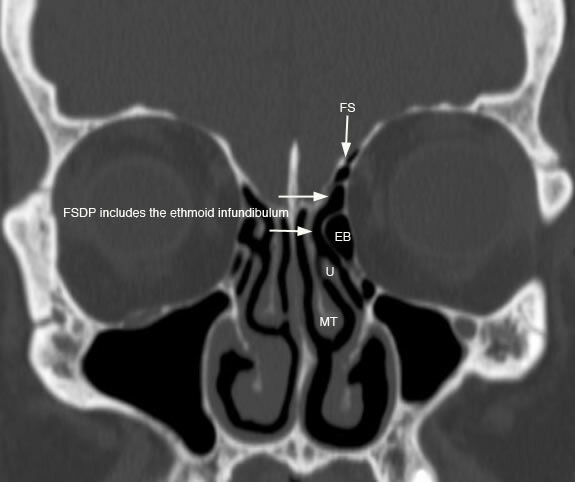 The frontal sinuses have a superior and inferior compartment of the FSDP. 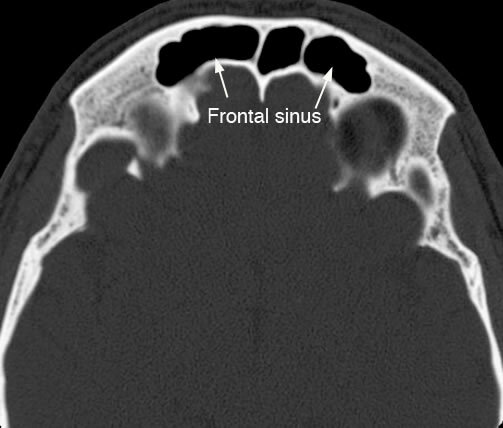 The frontal sinus ostium drains into the superior compartment which then communicates directly with the inferior compartment. The inferior compartment is a narrow space that either is formed by the ethmoid infundibulum or middle meatus depending on the anterior attachment of the uncinate process. 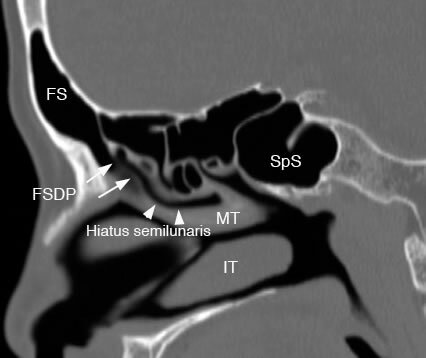 If the anterior uncinate process attaches superiorly to the skull base, then the inferior compartment of the FSDP is the ethmoid infundibulum which then communicates with the middle meatus via the hiatus semilunaris. 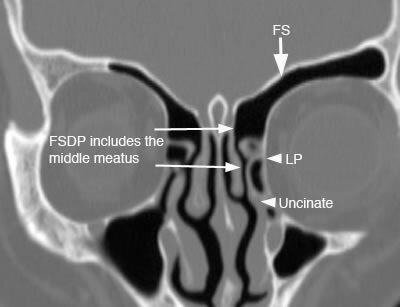 If the anterior uncinate process attaches to the lamina papyracea, then the inferior compartment of the FSDP is the middle meatus. 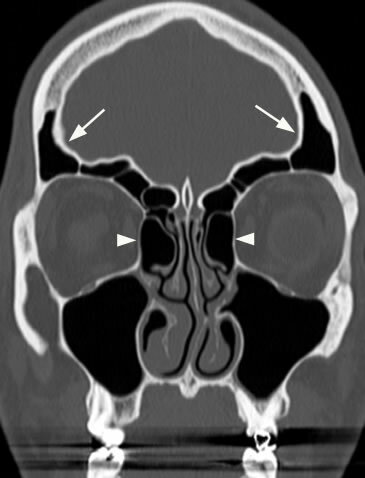 Axial image with arrows pointing to the frontal sinuses. 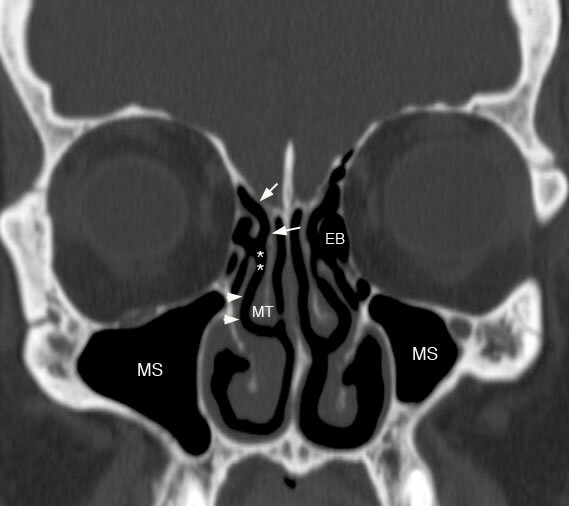 Coronal image of frontal sinuses (FS). 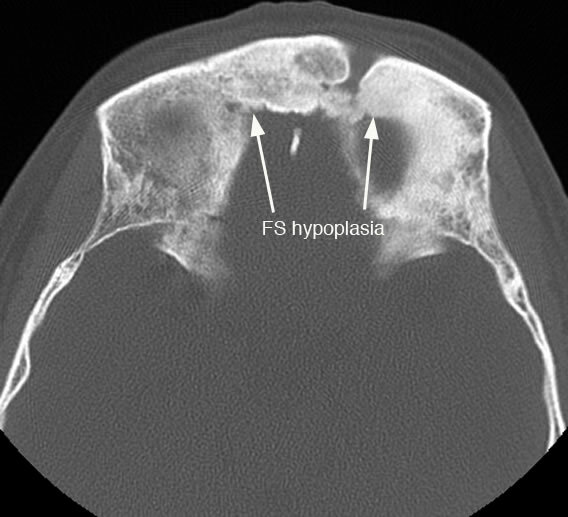 Axial image with arrows demonstrating hypoplastic frontal sinuses (FS). 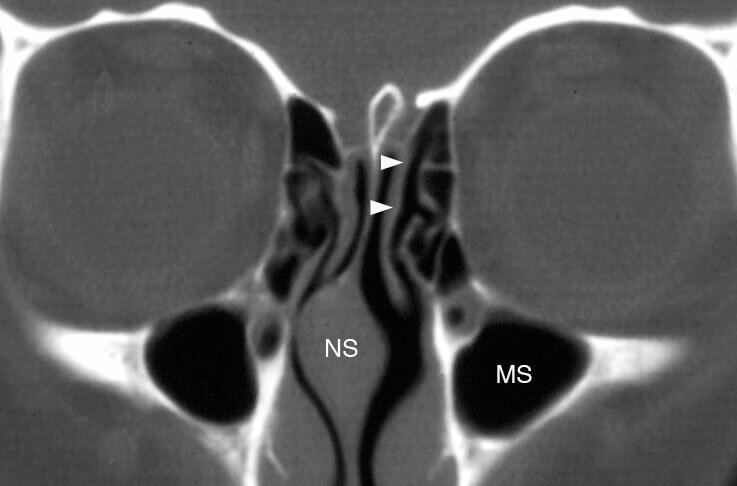 Coronal image with arrows demonstrating overly pneumatized frontal sinuses. Also note enlarged ethmoid bulla air cells (arrowheads). Coronal image with arrow pointing to pneumatized crista galli. 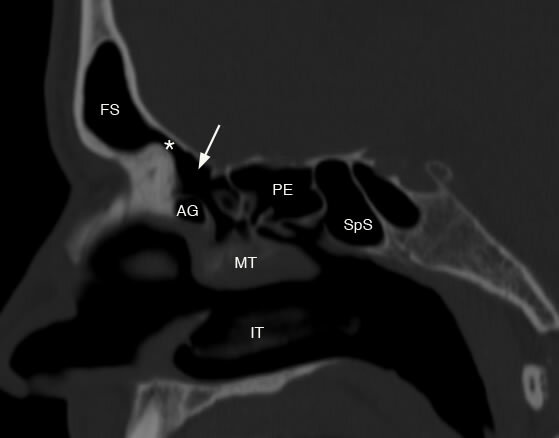 Pneumatized crista galli may communicate with the frontal recess and can potentially obstruct the frontal sinus ostium. 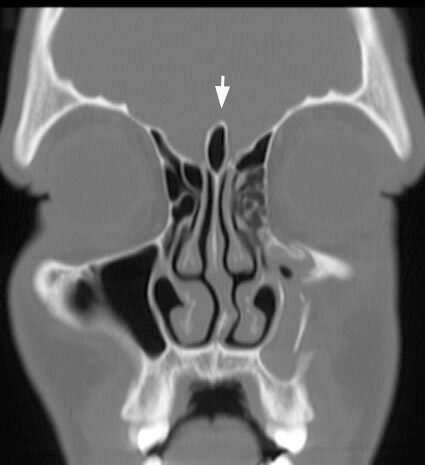 Incidentally noted is a tripod fracture involving the left maxillary sinus.